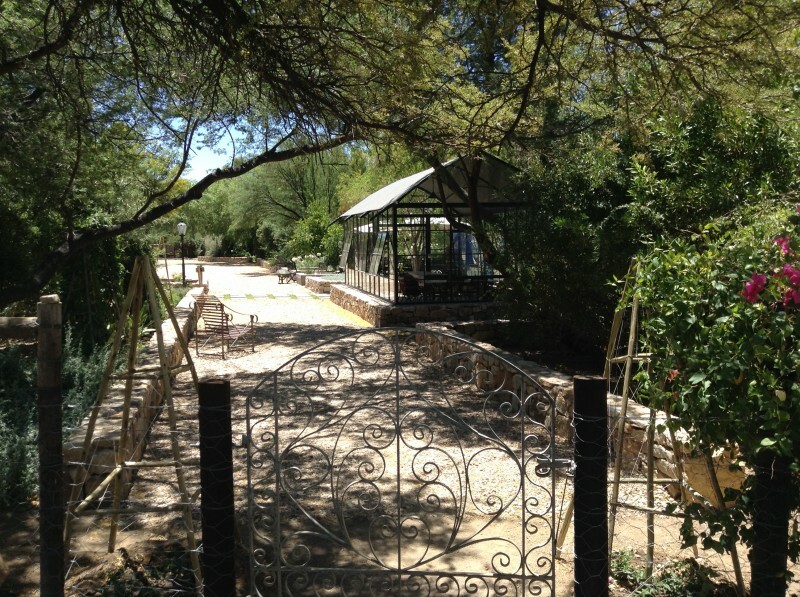 Well on its way to a double century, Dennehof Karoo Guest House is the oldest surviving building in Prince Albert . 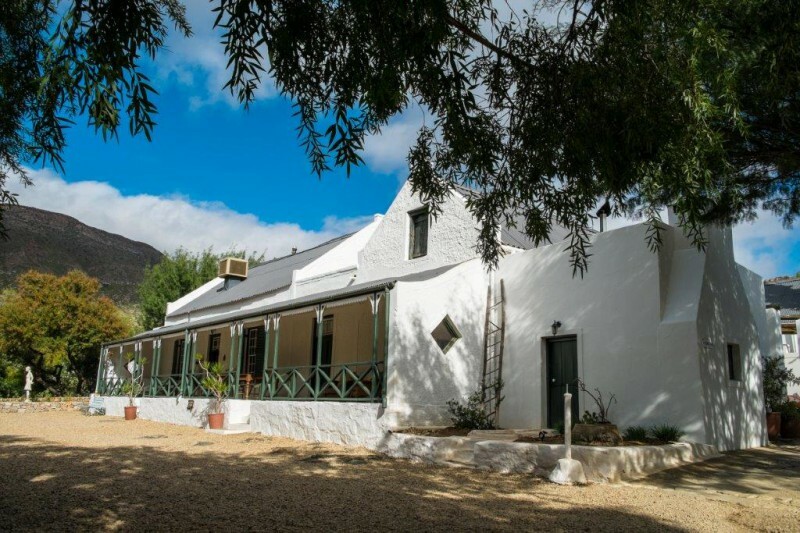 Built in 1835 on part of the fertile Kweekvallei farm for old Zacharias de Beer's granddaughter on the occasion of her marriage, this sturdy two-roomed farmhouse (as it was then) conformed to a style popular in this part of the country in those early pioneering days. In its original guise it had a thatch roof and whitewashed walls and the exposed timbers were painted green. 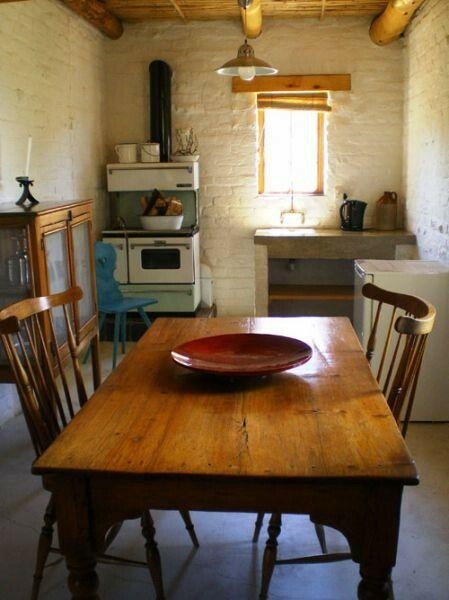 The Wagon Shed is definitely one of our most special and sought after honeymoon suites. The room has a double bed, en-suite bathroom, small kitchenette and lounge with colour television. 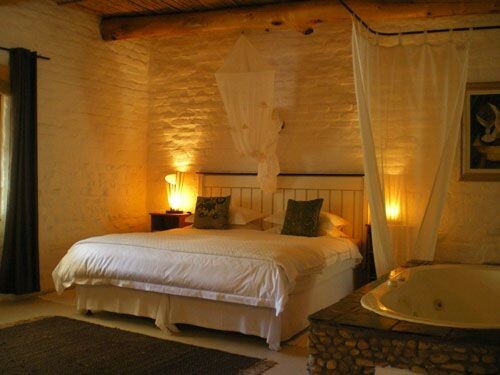 Despite the romantic decor, the room has its own secluded outdoor spa bath, where one can sit and star gaze while relaxing in the tub, or view the 'koppie' from one's own private patio. The very historic outbuilding - The Forge - was once a place of hard work, but now consists of a double bed, en-suite bathroom and colour television. 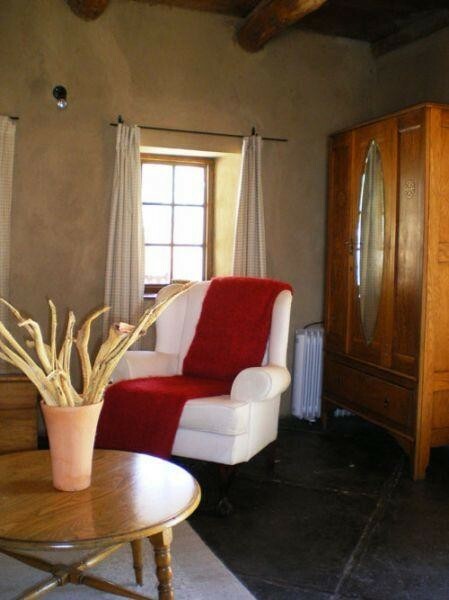 Loved by our regular guests, this room offers all the simplistic necessities, whilst emphasising Karoo-relaxation. The Windmill Rooms. The name describes the rooms, Two separate rooms built around the old farm windmill. 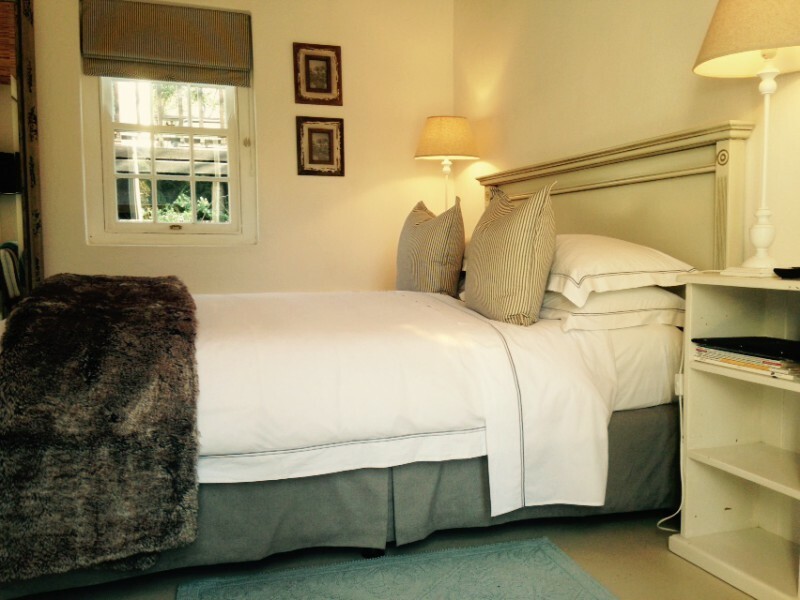 The one room - The Windmill Room - is a spacious room with two twin beds, en-suite bathroom and a patio overlooking the mountain and flowering garden. The Windmill Suite is our second honeymoon suite. This spacious room has a double bed, en-suite bathroom a small kitchenette. But what makes this room so romantically special, is the fact that it has a spa bath situated intimately inside the room. 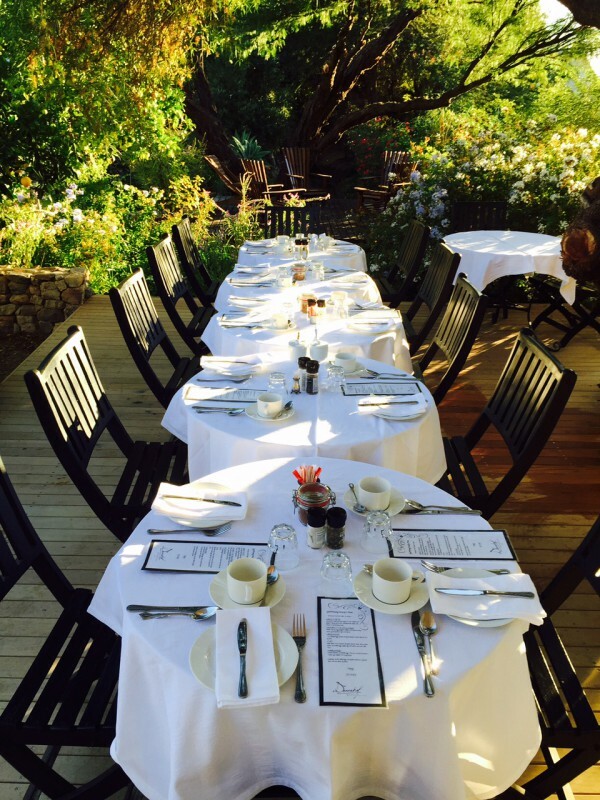 In the mornings, breakfast is served on the deck that overlooks the old Kweekvallei where Gay's Guernsey cows and Angora goats are grazing in the lush green fields. The landscaped garden creates a soft, serene backdrop where songbirds meet and the sound of the lei water runs beneath the deck. Our guests may arrive as strangers but we make sure that they depart as friends. We also pride ourselves in our customer service so if you have any queries, or if there is anything we can do to make your stay with us more pleasurable, please do not hesitate to ask us and we shall do our very best to satisfy your request. There is far more happening in this apparently sleepy town than at first meets the eye, so take this opportunity to experience for yourself all that the 'jewel of the Karoo' has to offer. Lindsay Steyn is your accredited tour guide and can put together a tailor made tour package for both the Western and Eastern Cape. Cycle down the Swartberg Pass : We take you all the way up to the Swartberg Pass and you get to cycle down. This includes bicycles, safety gear, water bottles and back-up! Three Passes Tour: Starting early in the morning, we drop you off at Meiringspoort where you cycle 17km's downhill through the poort, then on to Montague Pass where you do an easy 6km's uphill and 14km's downhill. Finally, we get to see what you're made of and tackle the mighty Swartberg Pass which is 1.5km's uphill and 19km's downhill. This includes all bicycles, safety gear, water bottles and back-up. Picnic lunches can also be arranged. 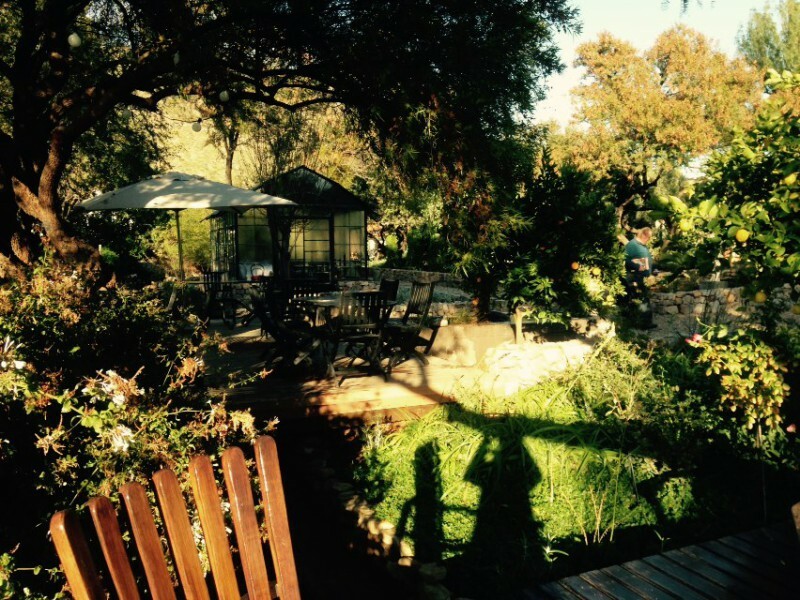 Visit Gamkaskloof 'Die Hel': Visit the lost community of Gamkaskloof a.k.a Die Hel. Although this is a mere 50km to arrive at the valley, it takes the entire day. 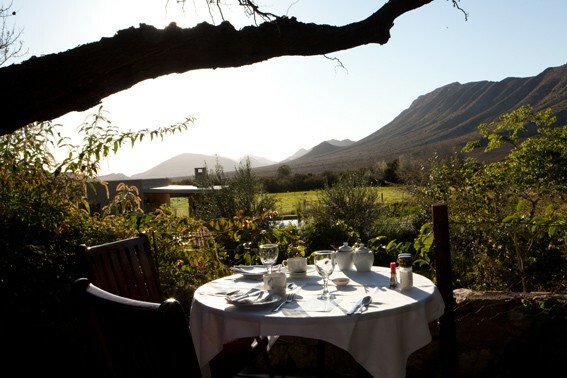 We leave after breakfast where we go up the highest point of the Swartberg Pass , 'Die Top'. Then we head off for the trip deep down below in the valley via 4x4. On arrival, we go through the valley for a historical talk on the area and the people and look at the houses. 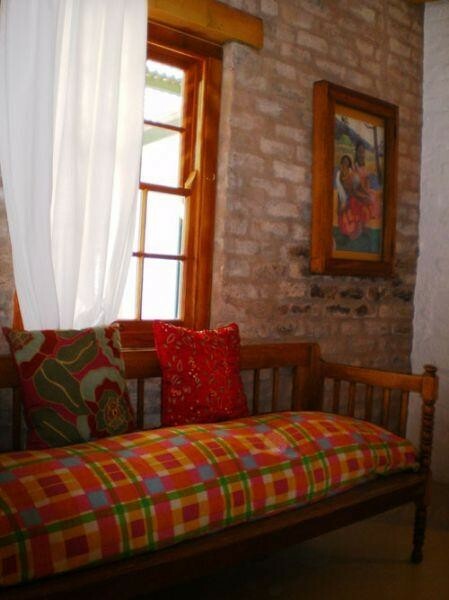 Then we go for lunch to Annetjie Joubert's kiosk - one of the original inhabitants of the valley. Afterwards, we head back to Prince Albert ! This includes refreshments and lunch.there is a special going !! Hike down the mountain: Once again we take you up the Swartberg Mountain where you get to choose between a 8km's and 19km's hiking trail. Then, you hike down to the water stream where a couple of cold one's await us. This includes a map and a walking permit - but tour guide is an optional extra. the intimate & charming little Karoo Kombuis that is famous for their traditional karoo meals... ...the Story Weaver, Ailsa Tudhope, will take you through the streets of the village and tell you of all the ghosts that find it hard to leave our quaint town... ...discover what is difficult to see when in large cities, by an informative Star-gazing evening with Hans & Thilanie Daehne. Susan is a great lady and knows her wines well. We visited briefly in September 2011 whilst staying at Amy's Place in Prince Albert. Went away with a few bottles tucked under our arms. Also visited Gay's Dairy - what a great selection of cheeses there and the complimented the wines from Soet Karoo.